NOTE: Pics for Illustration purposes, colors and parts will be as shown in spec list below. Order now to lock in the current sale price and selection. The prices are going up soon. NOTE: Well Equipped with WTB TCS Tubeless tech rims. 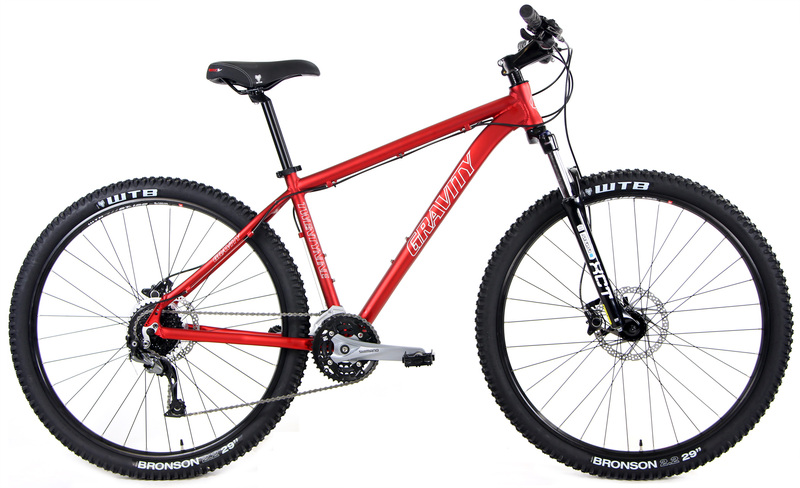 Ben - Libertyville, IL: "I'm loving the Gravity 29er Mountain bike I bought earlier this summer. The bike arrived in perfect condition, the setup was easy, the components are superior, and the ride is excellent. Thanks for a great deal on this great bike!" If you have ridden one you know why you want one. If you have ever wanted to try one, this is the best deal on a 27 Speed, Full Shimano drivetrain equipped 29er bike with powerful Hydraulic Disc Brakes and Lockout front forks. Get Tubeless tech rims now. Normally found on bikes around $1,500+ 29er bikes. Tubeless wheelsets sold by themselves are normally around $400+ You are getting a complete Shimano 29er with a pro-quality TCS Rim wheelset. 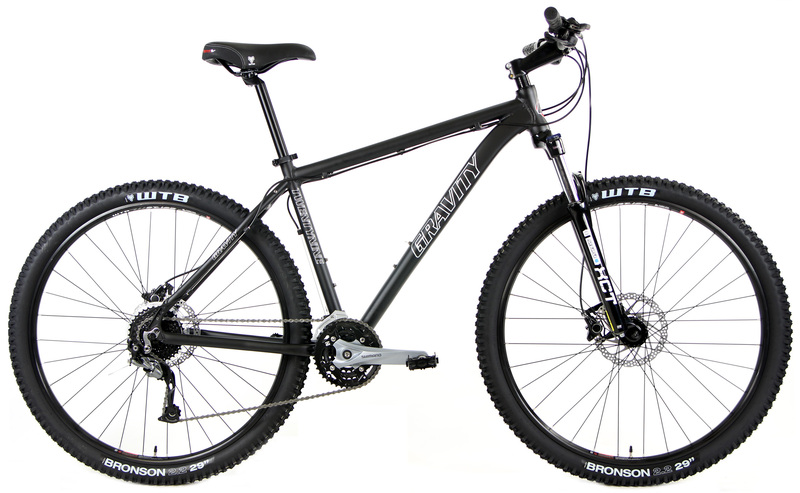 Get amazing technology, now available on this limited shipment of 29er Mountain bikes. "Our TCS™ (Tubeless Compatible System) technology is the solution for riders seeking high performance, lightweight and durable mountain bike wheel systems that are easy to install, fun to ride and simple to service..."(Simply add your own TCS Tires and Sealant and See FAQ page for Tubeless system setup)"...Say goodbye to air compressors, tire levers and pinch flats. Say hello to your full riding potential. " The 27 Speed Gravity 29Point2 is specified with competition-ready components and has geometry based on careful research and trail-testing. Please compare this bike directly against any other manufacturers $1,500+ 29er hardtail on the market. Their bikes are heavier or not as well equipped. These 2019's are on sale NOW. Get yours before they are all gone!